Few home financing options can beat the amazing benefits associated with VA loans. These government-backed mortgages are fully funded through private lenders but insured through the U.S. Department of Veterans Affairs. They require no down payment and have minimal credit qualifying requirements. These unique loans are only available to certain qualifying servicemembers, veterans and qualifying candidates who have served our country in some way. At Nortex Mortgage, we have the highest respect for our VA loan clients, and we’re here to help you if you’re starting the journey to homeownership. We have served clients in Plano, McKinney, Frisco, and nearby Texas communities for more than 20 years. Contact us to learn more today. The VA home loan guaranty program, which regulates VA loans, was created in 1944 to help veterans and their families rebound from the harsh economic climate during and after World War II. Today, these mortgages continue to help qualified candidates by providing an easier path to owning a home than is available through the conventional loan process. VA loans are a type of nonconventional loan, which means they are insured through a government department. Other common types of nonconventional loans you may have heard of include FHA loans (backed by the Federal Housing Administration) and USDA loans (backed by the U.S. Department of Agriculture). VA loans are guaranteed, in part, through the U.S. Department of Veterans Affairs. Because of this, they pose less of a risk to private lenders – who fund the loans – than conventional loans which are not backed through the government. Private lenders are encouraged and able to lend to a broader range of applicants, including those with less-than-great credit or who do not have enough cash on hand to make a down payment. To qualify, borrowers should have satisfactory credit and proof of income enough to meet the expected monthly mortgage payments and other homeowner’s expenses. Lenders ultimately decide who to approve. In addition to meeting these requirements, you’ll also need to obtain a certificate of eligibility (COE), which verifies your service or other qualifying factors that make you eligible. We can help guide you through the process of obtaining your COE, which is relatively simple. Veterans and servicemembers who have served active duty for 90 days or more during wartime are eligible, as are most who have served during peacetime for at least 181 days of active duty. Certain Reservists and National Guard members are also eligible after a certain length of service. Certain surviving spouses of veterans killed during duty or because of a service-connected disability are also eligible, as are certain citizens who have served in various government organizations. If you think you may be eligible, contact us and we can very quickly determine if you are a qualified candidate. VA loans are only available through VA-approved lenders. 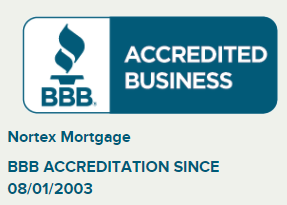 At Nortex Mortgage, we work with only the best lenders, who allow us to offer competitive interest rates for VA loans in addition to their many other benefits. When you’re ready to learn more about this great home financing solution for purchase in Plano, McKinney, Frisco, or nearby Texas, contact us to get started.